Does anyone here practice metaphysical Taoism? It began with the work of Wang Bi and He Yan at the time of China's 3 Kingdoms Period around 200 CE. The Metaphysical Movement was initially an academic study at a time when Tao was the mystical entity of the universe and its transformations brought good and bad fortune. It entered into high salons of debate and flourished for several hundred years until its demise in the Tang Dynasty. Of all the forms of Taoism, Metaphysical Taoism is perhaps the only Taoism that understands modern science's Big Bang Theory and Darwinian Evolution. Big Bang and Darwin have evolved over the years, but the basic theories continue to guide modern cosmology and evolution. The philosophy and metaphysics of Lao-Chuang Taoism form the foundation of Metaphysical Taoism. Religion of today now uniformly advocates universal love and compassion as its main tenets, which seem incompatible with Darwinian evolution. As its name implies, Metaphysical Taoism tries to explain how reality works and is less or not concerned with universal love and compassion. That's why Metaphysical Taoism can be thought of as scientific Taoism and that's why it has been resurrected. Metaphysical Taoism also does not worship the gods (unless the practitioner wishes to do so). Worshipping the gods is optional. Unlike other modern Taoisms, Metaphysical Taoism places the gods of outside religions into its framework as children of Tao and give them all equal regard and respect, because they are created in the chi crucible at the beginning of genesis in the TaoTeChing ch. 42. Thus, there are Taoist altars that include the Taoist gods, the Buddha and the Christian crucifix. They are worshipped in some predetermined order or even randomly. The Taoist follows the basic tenets of Lao-Chuang Taoism first and then the practices of the god being worshipped. 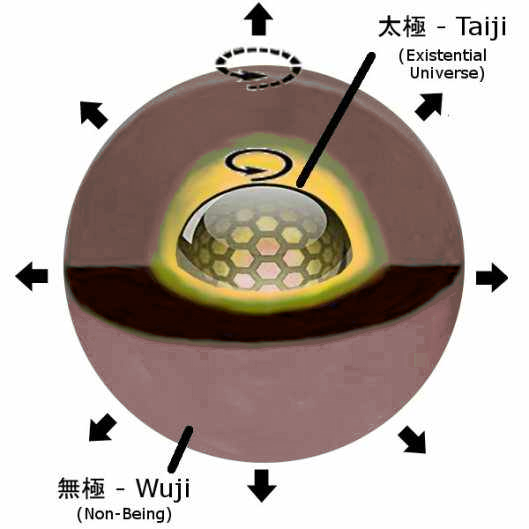 Because Metaphysical Taoism places outside gods into its framework and because it is also scientific Taoism, it is said by some to be a framework religion, in which other religions can be understood in relation to the great whole. Chevron1. I am on the Taoist Way, I practice Quanzhen. I recognise a lot in what you wrote, though I think, it is all kind of thinking in different layers, because when the mind is still, there is no separation, just the great whole. >> it is all kind of thinking in different layers, because when the mind is still, there is no separation, just the great whole. jolanda: there is no separation but there are differences. We are not all the same but we are all part of the whole. deepsoul, the main practice in mainland china is called metaphysical third eye (at least, that's what i call it). it is practiced in secret sessions and few will acknowledge it at present. metaphysical taoists study the hidden world, and one way to do this is with training to read chi. with this form of clairvoyance, one can identify invisible things, determine if someone is telling the truth, if someone is in love, if food has been poisoned,etc. there is rumors that the chinese military may studying this practice too. there is almost no information about metaphysical third eye online except for one article linked below. go to the last section of the article to see the simple exercises for developing the basic skillset. 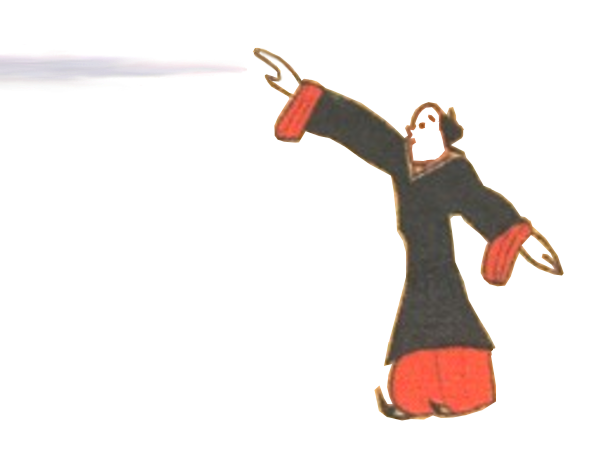 the image below is a redrawn dao-yin image to illustrate how it works. the article below is a beginning lesson only on this form of clairvoyance that is being taught like a school lesson. jolanda: metaphysical taoism is very pluralistic. it sees ALL religions as different but part of the whole. this way, every religion is respected equally. the reason for this is that all gods are children of tao, including, for example, the christian god and the taoist gods. each god has their own "realm" in the universe. the religions of the world all belong to tao and co-exist harmoniously. in the metaphysical understanding of tao, tao is mother and the universe is the fetus just like it says in the dao de jing 42. Totally agree!! This is my practice, Quanzhen, complete perfection, of totality. I have studied nature medicine, and there were metaphysic exercises as well... all is coming together more and more. Looked at your link! Looks very total... will read more there. I'm not taoist, but I have to admit this thread although quite simple to understand has been in my opinion one of the greatest truths I've seen written here.